The word modern can mean different things to different people, but when it comes to art, it refers to a specific time period and style of painting. "Modern art was characterized by a desire to do things differently—to experiment, to work with new materials, to breathe a spirit of freshness into traditional art," explains Rebecca Wilson, Saatchi Art's chief curator. Although modern art has its roots in the past, you can find contemporary works of art that pay homage to this rule-breaking movement. 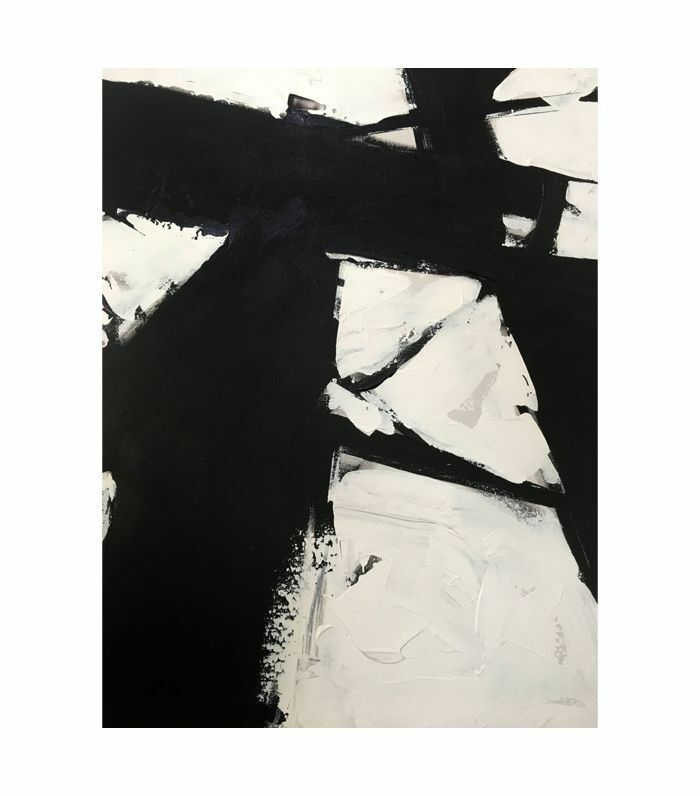 "When I think of modern art today, I think of abstract painting that is expressive, has an elegance, and deceptive simplicity to it," Wilson says. 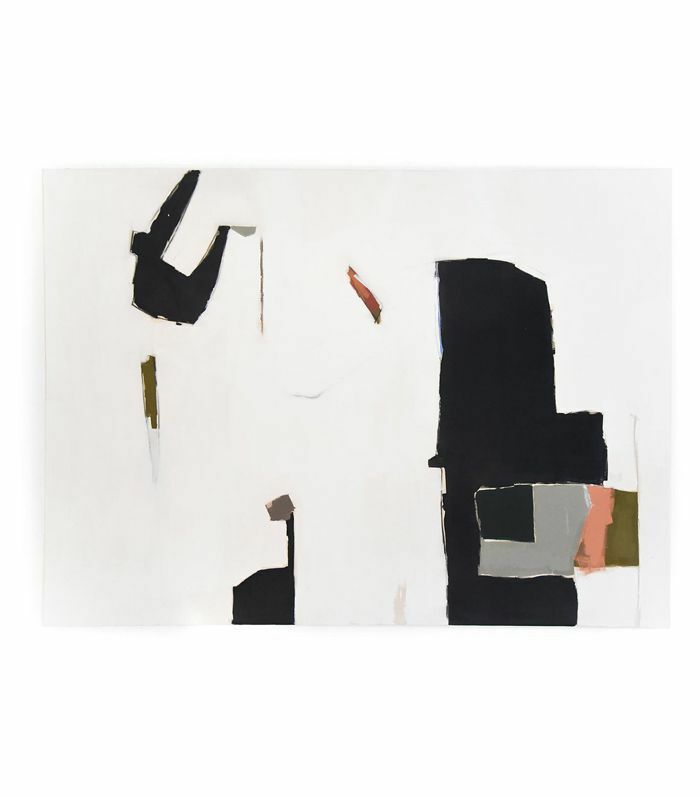 When selecting modern wall art for your own home, she suggests looking for paintings with bold brushstrokes, black and white color palettes, simple color compositions that hint back to the color field painters of the 1950s, and relief paintings defined by raised surfaces. With these elements in mind, you'll be on your way to curating a modern art gallery in your own home. 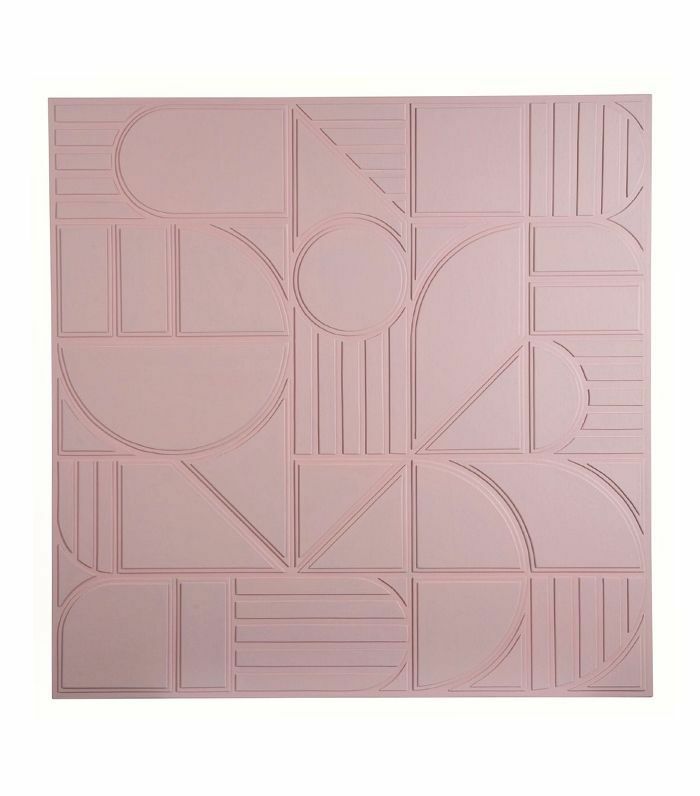 Shop our edit of modern wall art below to start your collection. 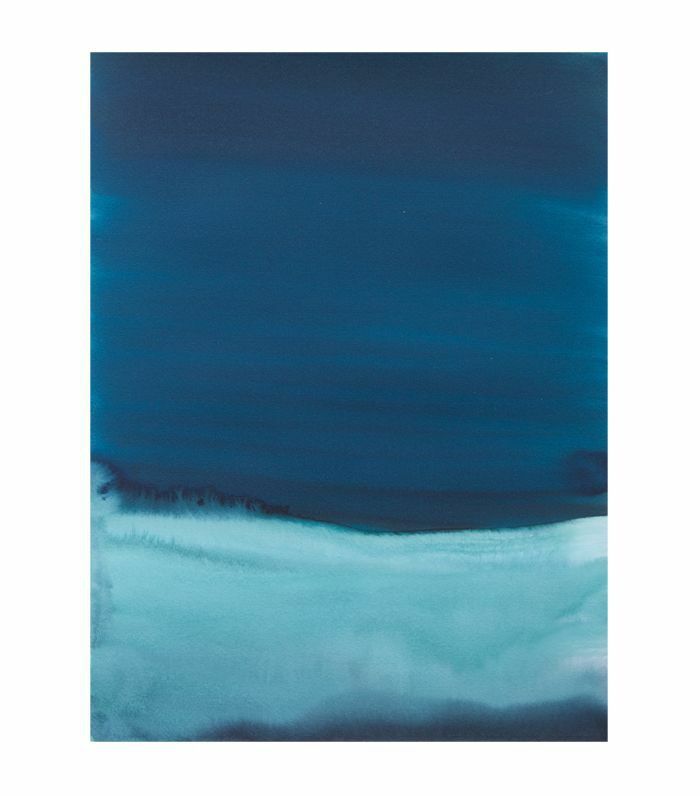 The varying blue shades in this watercolor landscape painting create a calm, soothing effect while resembling the modern art of color field painters like Mark Rothko and Barnett Newman. A minimal, understated piece, this painting still evokes movement and passion through gestural brushstrokes, both key elements of modern art. This painting is bursting with color and expressive gestures. 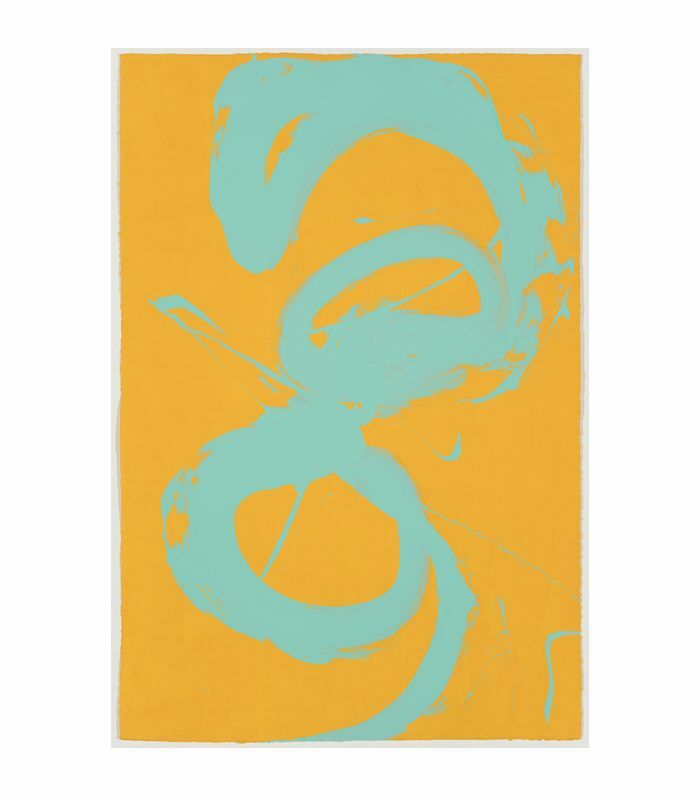 The large-scale work would make a bold statement in any room. 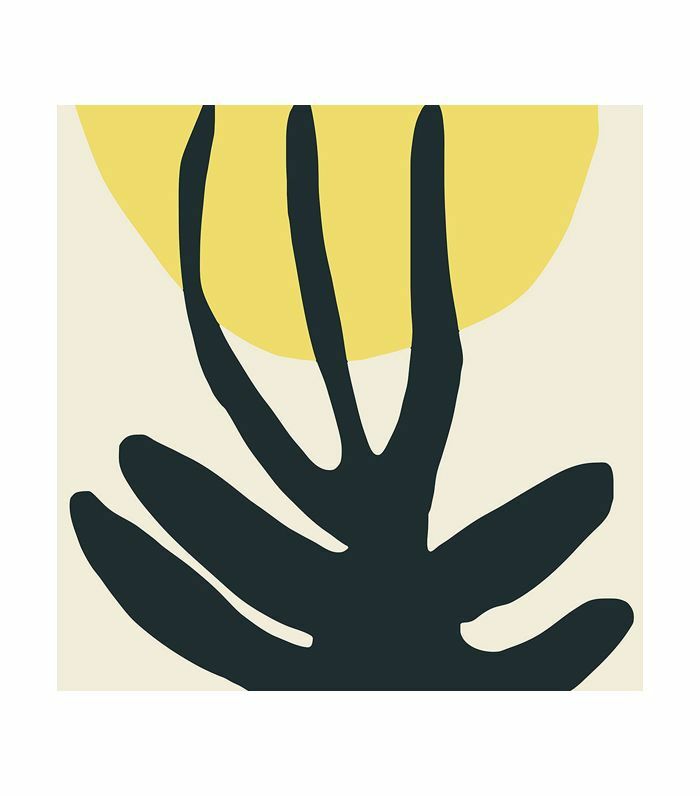 Reminiscent of a sun and sprawling palms, this abstract work is meant to appear connected to nature. The bright yellow adds a modern pop of color to the piece. 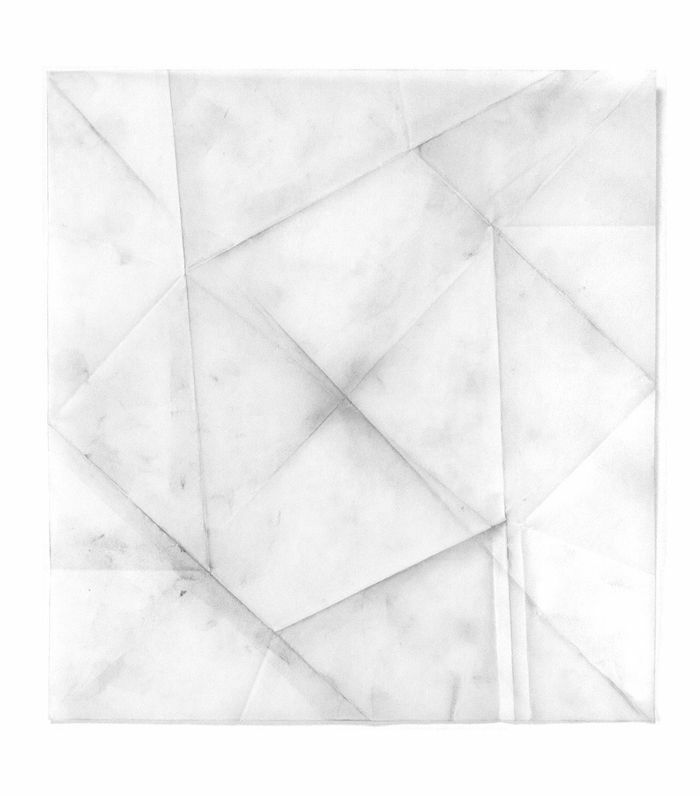 This gray and white geometric piece is a graphite drawing that almost looks three-dimensional. 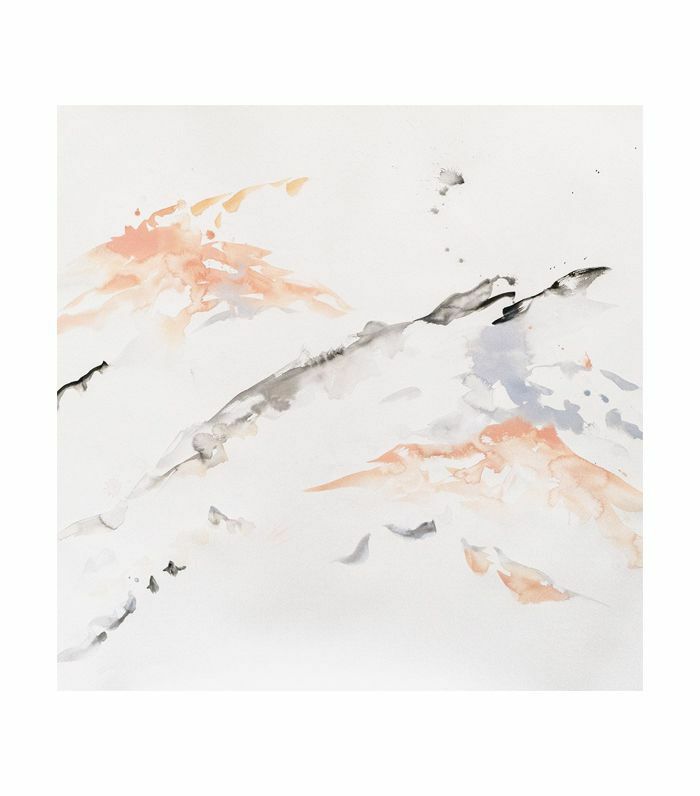 Hang this piece of modern wall art in your home to add a subtle element of design. 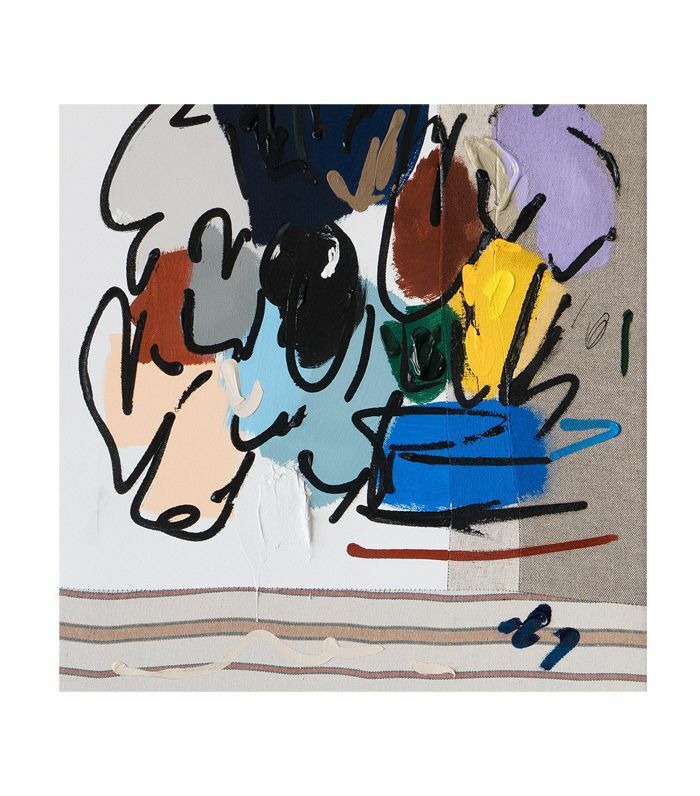 At first glance, this work is just a painting with an abstracted array of colors and shapes. However, upon closer examination, you can see that the horizontal stripes at the bottom are actually pieces of fabric sewn onto the canvas. You can't go wrong with a bold black-and-white abstract work like this limited-edition print. It's modern, compelling, and won't distract from the rest of your décor. Why hang one piece of modern wall art when you can hang two? 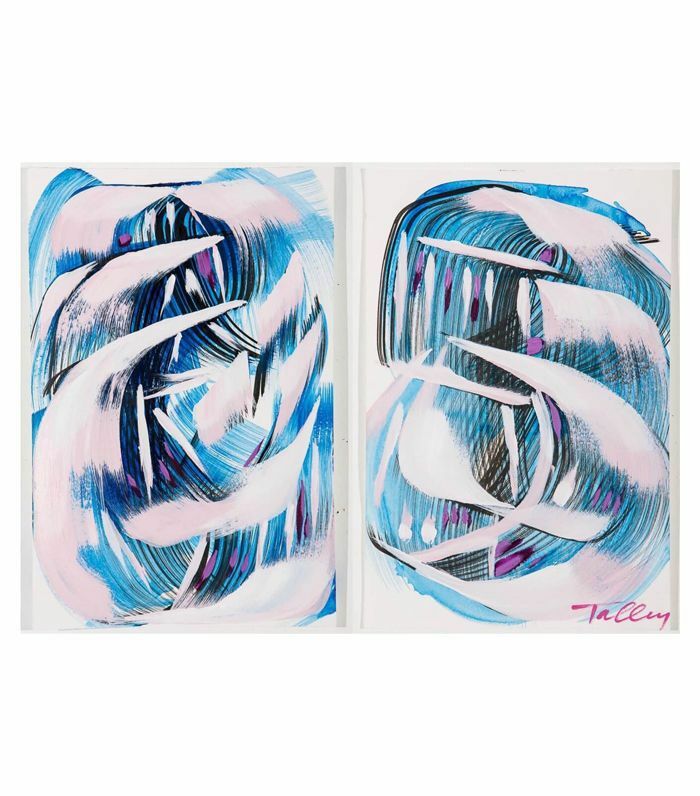 This diptych beautifully combines bright blues, light pinks, and hints of deep purple in thick swirling brushstrokes that almost make the paintings appear to be moving. If color is your thing, don't be afraid of a bright, expressive painting like this orange and turquoise work. This painting forces you to pay attention to the negative space in between the blocks of color. It's an intriguing piece that will stop guests in their tracks. 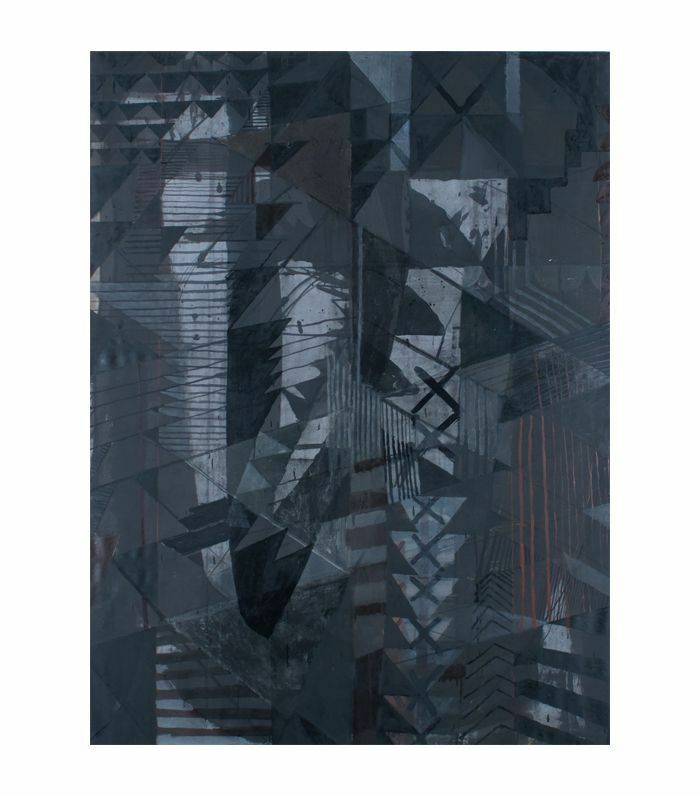 A dark and moody painting, this work contains continuously repeated geometric shapes and designs. Hang it proudly above the sofa or in a large hallway to really make a statement. Calling on Italian relief paintings, this mauve piece may be simplistic in color but it depicts intricate shapes and patterns that lift the design right off the wooden frame. 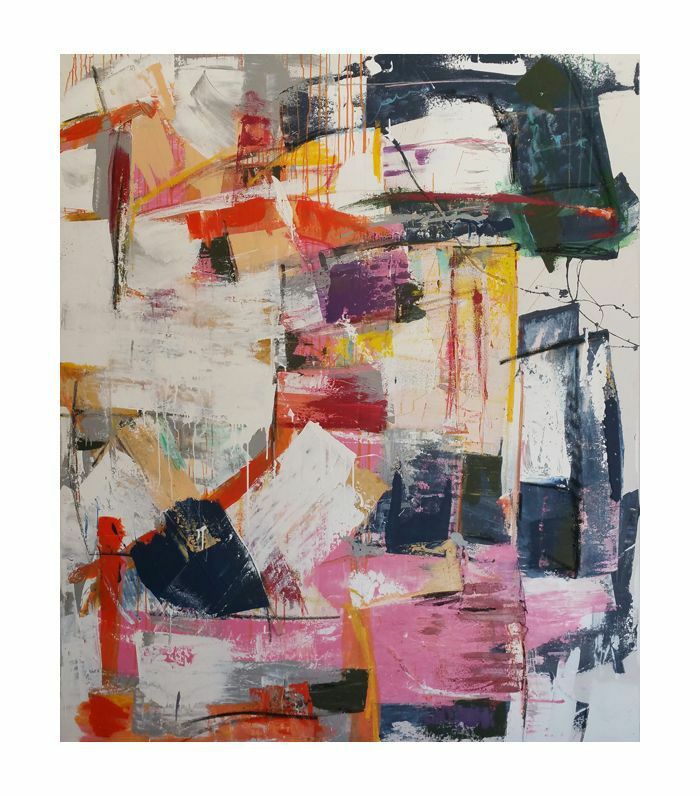 Shop modern wall art from online retailers like Saatchi Art, Tappan Collective, and Uprise Art to transform your home into truly curated space.